Custom orders and special offerings! 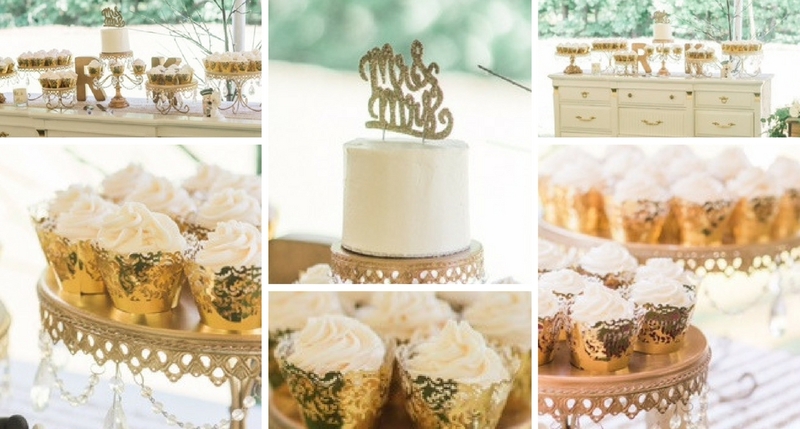 We take your special day to the next level: send us an inquiry for complete dessert bars for weddings, showers, etc. To make an inquiry, complete the form below, adding relevant details as needed, and we will reach out to you as soon as possible with an estimate for your custom order. Final price will be determined by the amount of detail and supply needed to complete the cake. We require a minimum of one weeks’ notice for cupcake orders, and two weeks’ notice for cakes. A last-minute rush order will depend upon availability and will add an additional $50 charge. For wedding orders, we can book out months in advance. All orders require a 50% non-refundable deposit at the time of the order to hold the date, with the balance due two (2) weeks prior to delivery. Without this deposit, your date cannot be held and may become unavailable. Most clients book us as soon as they become engaged – this way their wedding date is secured. The first step is to fill out our Details form. For cupcakes and all-occasion cakes, orders must be placed two (2) weeks in advance and must be paid in full at time of order. Fill out and submit the “Details” form. We will contact you with a quote or to set up a consultation. Be certain to include as much detail as possible! All orders require a 50% non-refundable deposit at the time of the order to hold the date, with the balance due two (2) weeks prior to delivery. Without this deposit, your date cannot be held and may become unavailable. Once we have established all details and the quote is acceptable, you can pay online or by mail. We accept all major credit cards and local checks, as well as the green stuff. There is a 3% processing fee on all credit/debit card orders. Yes we do! We schedule tastings at your home, if local, which is helpful when discussing details. Although we don’t have a shop, we do have a commercial kitchen space which is inviting as well. You are also able to pick up a tasting box to go, if scheduling an in-person appointment is inconvenient . . . There is a non-refundable $45 fee for tasting appointments/boxes. The tasting usually consists of three cake flavors of your choice with your choice of fillings/icing. Other dessert bar items are not offered for tasting. Please provide any additional details you would like, including whether you would like pricing for multiple flavors or types of cakes or cupcakes. If you would like other desserts included in a dessert bar, specify any desserts you have in mind. Please be as descriptive as possible.